Well, the All–Star Game is over, and though temps haven’t been especially high, we do have a semblance of summer. We also have a number of outdoor events taking place throughout the region. Though I’ve included a couple, there will be events at the Aquatennial, and music festivals at the Midtown Global Market, Prior Lake, Chippewa Valley WI, and Canterbury Park, as well as individual performances at area parks and pavilions. Sophia Shorai @ The Dakota, Minneapolis. 7pm (No Cover) With a voice that is somewhere between playful, seductive, and charming, Sophia can go from originals to the Great American Songbook, to pop songs with ease. Paula Lammers & Reeves Carey @ Jazz Central, Minneapolis. 7:30pm ($10 Suggested Donation) Paula and Reeves first sang together on the Minnesota Zephyr some years back, and have performed as a duo from time to time since then. They’ll be joined by Marly Louise Knutson, Chris Bates, and Jay Epstein to perform classic duets from the Great American Songbook. Courageous Endeavors @ Studio Z, Saint Paul. 8pm ($10) Another one of the fine young groups that we have here in the Twin Cities: Joe Strachan, piano; Nelson Deveraux, sax; Miguel Hurtado, drums. Brian Courage, bass. Here’s a video of theirs. Milo Fine @ Khyber Pass Cafe, Saint Paul. 9pm ($5) Part of the Khyber Pass’ weekly series of freely improvised music. Milo Fine: drum set, electronics; E flat clarinet; Philip Mann; Saxes, bass clarinet, drum set; Ryan Reber, soprano sax, cello; Rick Ness, drum set, alto sax, B flat clarinet, multi-toned tenor bugle; and Kevin Cosgrove, electric shelf and wave drum. Zacc Harris’ Tribute to Wes Montgomery @ Jazz Central, Minneapolis. 7:30pm ($10 Suggested donation) Though an imaginative guitarist in his own right, Zacc Harris is particularly effective at evoking the chordal playing of Wes Montgomery. Harris is also an entrepreneurial musician who is always finding a new way to present himself and his colleagues, who tonight include Richard D. Johnson, keys; Chris Bates, bass; & Adrian Suarez on drums. Jay Young & the Lyric Factory’s Jazz Tribute to Stevie Wonder & Michael Jackson @ Jazz Central, Minneapolis. 8:30pm – 10pm ($10- Suggested Donation) Jay gets out his piccolo bass and is joined by son Ian Young, bass; John Penny, guitars; Kevin Washington, drums, and Scott Fultz on sax. They’ll be joined by a trio of vocalists: Rachel Holder-Hennig, Judi Donaghy Vinar, and Sarah Greer to explore the jazz side of two of the biggest pop stars of the 20th Century. Bryan Nichols Quintet @ The Icehouse, Minneapolis. 9:30pm ($8) Though these Jazz Implosion gigs can start and end late, it’s worth it to hear Nichols’ original creations. The imaginative pianist will be joined by James Buckley, bass; Brandon Wozniak, sax; Mike Lewis, sax; and JT Bates on drums. Explosion Big Band @ The Minnesota History Center, Saint Paul. 6:30 – 8:30pm (Free) Scott Agster on Trombone, and Doug Haining on sax lead this 17-piece big band in a swinging set of tunes just right for dancing. Lessons at 6:30. Twin Cities Latin Jazz Orchestra @ Jazz Central, Minneapolis. 8:30pm ($10 Suggested Donation) Anyone who saw them at the Twin Cities Jazz Festival last month knows what a powerhouse this band has become. Join them for an open rehearsal to hear great music and also get an insight into the creative process for a large band. Michael Monroe @ Landmark Center, Saint Paul. Noon-1pm (Free) It’s another lunchtime concert at the Landmark Center. Monroe is a singer/songwriter from Grand Marais who has been performing for forty years. 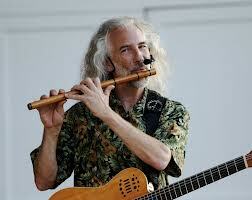 He’s a self-taught musician who plays guitar, ukelele and glass and bamboo flutes. Malamanya @ Como Conservatory, Saint Paul. 6pm – 9pm (Free) Malamanya is an acoustic-driven group that celebrates the traditional rhythms and melodies of Cuban son, salsa, samba, as well as the local music of Central and Latin America. They have garnered a large and enthusiastic fan base. BTW, I’ll be spinning some classic salsa and Cuban tunes before and between their sets, beginning about 5:30pm. Here they are doing an original. Kent Burnside on KFAI and @ the 331 Club, Minneapolis. 5pm (KFAI – 90.3 & 106.7FM), 7pm (331 Club, Tip Jar) Burnside is the grandson of the late RL Burnside, who helped bring the trance-blues music of the Mississippi Hill Country to the attention of the rest of us. Kenthas been in town a number of times and always delivers a blistering set of originals and songs from his grandfather and uncle, Duwayne Burnside. Paul Metsa & Willie Walker @Shaw’s NE, Minneapolis. 5pm – 7:30pm (No Cover) Willie Walker may have the sweetest soul voice in the nation – certainly the sweetest soul voice in town. He and Metsa on guitar provide acoustic versions of many of your favorite classic soul songs. Plus, Shaw’s has rib and drink specials. Salsa Del Soul @ Rice Park, Saint Paul. 6pm – 9pm (free) What a way to spend a pleasant summer evening: salsa dancing in Rice Park. If you don’t know how, you can come early and get a dance lesson, or you can just freestyle. 100 Years of Cameras & Photography @ MPLS Photo Center, 2400 North Second Street, Minneapolis. 6:30pm – 9:30pm (Free) This is the opening reception for what promises to be a cool exhibit. I’ll be spinning almost 100 years of music, from early jazz to rock n’ roll, soul, disco, Daft Punk, and Pharrell Williams. Curtiss A & His Blues Band, w/Lone Wolf @ Harriet Brewing Tap Room, Minneapolis. 7pm ($5 or RRDB Ticket) It’s a Pre-Party for tomorrow’s big festival. Lone Wolf, a one-man-band, opens at 7pm, playing slide banjo, bass drum, and harmonica in a punkish, bluefish, folkish vein. Curtiss A, of course, is the Dean of Scream, a devotee of Little Richard, John Lennon, Bo Diddley, and assorted early rockers, who sings at about 12 out of 10 on every amp he uses. He also displays a wicked, sometimes rambling, stream-of-concious patter between songs. Funk on First @ First Avenue, Minneapolis. 8:30pm ($10, 18+) It’s a funk festival with four young bands, each of which has a different approach: New Sound Underground, Black Market Brass, Pho, and Grolar Bears, plus, just to add to the fun, HIpshaker & Worldwide Discotheque deejays. Here’s some music from New Sound Underground. 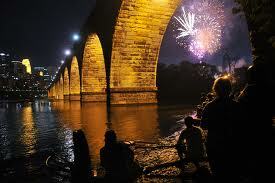 Roots, Rock, & Deep Blues Festival @ Lake & Minnehaha, Minneapolis. No7 – 11pm (Fri), 11am – 10pm (Sat) ($20) This 4th Annual Festival gets bigger each year as Patrick’s Cabaret, Harriet Brewing, The HUB Bike Co-Op, and the Mosaic Cafe join forces to present over 30 bands on five stages, including bands from Iowa, Texas, and Mississippi. Some of the performers include Sonny Knight & the Lakers; Crankshaft & the Gear Grinders; Kent Burnside, Joe & Vicki Price, Spider John Koerner; Black Diet; Black Market Brass; Nikki & the RueMates; the Dead Pigeons; Molly Maher, and more. After-party at The Eagles Club from 10pm to closing. Whew! Maurice Jacox @ The Normandy Inn, Minneapolis. 7pm (No Cover) An intimate singer and an intimate band in an intimate setting, though Jacox can sing chill-inducing high notes when he’s got a mind to. It’s a small bar, so call and make reservations if you want to be near the music. Steve Clarke & the Working Stiffs @ Mendoberri Cafe & Wine Bar, Mendota Heights. 7:30 – 10pm (No Cover) Steve’s swinging sax can boost at R&B song or something much jazzier. At any rate, this relatively small venue with a good wine selection is a fun place to hear him and his mates play. Hot Tuna @ The Dakota, Minneapolis. 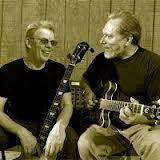 7pm ($45), 9pm ($35) Jorma Kaukonen and Jack Casady met as youngsters while growing up in Washington D.C. Years later they would join forces in Jefferson Airplane, for which they were both inducted into the rock n’ roll Hall of Fame. While in the Airplane, they would play the blues and other Americana on the side, and eventually recorded an album. It was so well received, they ended up recording a couple of dozen albums. Fifty years after their first meeting, they are still playing. Here’s a video from a few weeks ago. Yeah, it’s corny, but the message is true. We’ve got more music for dancing this week, as well as a free concert from Bill Frisell, interesting roots music, and visiting artists from New Orleans and California. Get out and enjoy live music. 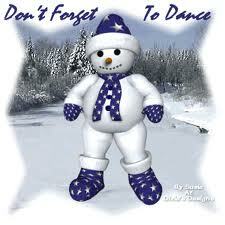 And don’t forget to bring dancing shoes. Sue Oatts & Tanner Taylor @ Jazz Central, Minneapolis. 8pm (donation) Back in 2006, vocalist Oatts released a fine CD entitled Back Home, though she was going by the name Sue Tucker at the time. She’s got a winning way with standards and lesser known tunes, and with Tanner Taylor on piano, should provide a delightful evening of song. Bill Frisell @ Janet Wallace Auditorium, Macalester College, Saint Paul. 8pm (Free!) That’s right, the genre-crossing, inventive guitarist will be appearing at Macalester and it’s open to the public. Get there early. A parking lot is right next to the auditorium. Sophia Shorai w/dVRG, Ben Kelly, + Alex Young @ The Aster Cafe, Minneapolis. 8pm Shorai‘s being backed by Devon Gray, keyboard player for Hieruspecs, and a couple of other young musicians who will make your trip to the near NE worth your while. Of course Shorai’s honey-sweet vocals, would make it worth your while without any backing. Estaire Godinez @ The Artists’ Quarter, Saint Paul. 9pm ($15) It’s only a matter of time before some climate change storm of epic proportions is named after percussionist/vocalist Godinez. Whether she’s singing a smoldering bossa or high-energy R&B, Ms Godinez can raise temperatures and create a whirlwind of sound. She’s recorded on over sixty albums and has held down stints with Prince, the Brothers Johnson, George Benson and Pete Escovedo. Though this video shows her at the Dakota, you’ll have to go to Saint Paul to hear here this weekend. Arne Fogel, Maude Hixson, and the Rick Carlson Trio @ The Schneider Theater, Bloomington. 7:30pm ($22 Adults.$16 Students) Fred Astaire & the Songwriters. Fogel, Hixson and Carlson. More powerful than a legal team. More subtle than an accounting office. When combined with songs sung by Fred Astaire, the results will be sublime. Charmin MIchele w/Twin City Seven @ First Unitarian Society of Minnesota, 900 Mount Curve Ave, Minneapolis. 2-4pm (donations welcome) As part of Black History Month, the society is featuring Michele & the group highlighting the life and work of Billie Holiday. It’s nigh impossible to find a better interpreter than this group to present Ms Holiday’s work. Treehouse on KFAI and @ The 331 Club, Minneapolis. 5pm (kfai – 90.3, 106.7), 7pm – 9pm (331 Club – tip jar) I’ll be subbing for Harold on the House Party this afternoon, and hosting this new trio of talented veterans. 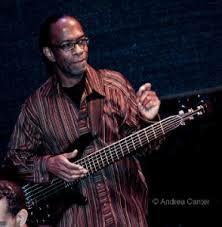 Chris Johnson is a first call bassist and vocalist for many of the blues bands in town. He’s also a first-rate whistler. Cathy Mosher sings, yodels, plays the tin whistle, and is a caller for square and contra dances. Jim Ouska is a versatile guitarist who is equally at home in R&B, rock, folk, and jazz. He received a jazz composers grant from the Dayton Hudson Foundation in 1999, and has recorded three CDs of original music. Catch them live on KFAI and head over to the 331 Club if you like what you hear. Blackberry Brandy Boys @ The Icehouse, Minneapolis. 9:30 ($6) A relatively new group featuring eight players and eight vocalists doing Cosmic Cowboy music, incorporating all kinds of music from the mid-twentieth century, and imbuing them with sometimes a pinch, and sometimes a ladle, of C&W seasoning. Think of what the Flying Burritto Brothers were doing. Acoustic Hot Tuna @ Mill City Nights, Minneapolis. 7pm ($34) Jorma Kaukonen and Jack Cassady started playing together when they were teenagers, and were an integral part of Jefferson Airplane’s heyday in the late 60s and early 70s. They started Hot Tuna as a side project, releasing their first album in 1970. Twenty-five years later, they’re still at it, playing the blues they love. Davina & the Vagabonds @ Crooked Pint Ale House, Minneapolis. 9pm ($10?) When Davina sings, everybody listens, or dances, or shouts. You can’t ignore her, or the Vagabonds, and frankly, you’ll have no interest in doing so. Don’t try to cross the dance floor, you won’t make it. Willie Walker Band @ Minnesota Music Cafe, Saint Paul. 10pm ($?) Go through the closet and get out those dancing shoes, cause Willie Walker’s soulful singing will have you dancing slow, fast, and in-between on the MMC’s commodious dance floor. Firefly Forest @ The Beat Coffeehouse, 1414 West 28th Street, Minneapolis. 7pm ($7) Firefly Forest is a quartet led by keyboard player Steven Hobert. They create whimsical, and often ethereal tunes that perfectly fit their name. Other members of the band include Josh Granowski on upright bass, Nathan Burdick on guitar & keys, and Jeff Schraw on percussion. Opening act is Kalispell, a traditional group from Eau Claire that isn’t afraid to use brass or elements of electronic music in their tunes. SlovCzech @ The Black Dog Coffee & Wine Bar, Saint Paul. 8pm (Tip Jar) Hmm, here’s a group that brings you the sounds of eastern and central europe by taking traditional folk songs and reformulating them into modern high-energy melodic sounds. They play many Czech, Slovak, and gypsy flavored songs, including a few Celtic inspired tunes. Sounds like the kind of music that will have folks moving tables out of the way to dance. New Orleans Suspects @ Whiskey Junction, Minnapolis. 9pm ($20) This quintet is led by musicians who were an integral part of many bands you know and love from New Orleans. Drummer Mean Willie Green has played with the Nevilles since the 1980s; Reggie Scanlan played bass with the Radiators for thirty-three years; Jake Eckert played guitar with the Dirty Dozen; CR Gruver plays piano as inspired by James Booker and organ as inspired by Art Neville; and saxophonist Jeff Watkins led the James Brown band for a dozen years. Sounds like a good time to me. Cactus Blossoms @ The Turf Club, Saint Paul. 7pm ($5) Classic country with brotherly harmonies. All you need is saw-dust on the floor, though that generally doesn’t stop folks from waltzing or two-stepping on the Turfs dancefloor. Eric Bibb & Habib Koite: Brothers in Bamako @ The Dakota, Minneapolis. 7pm ($35), 9pm ($25) Bib has been to town before. He’s a fine acoustic bluesman, equal parts storyteller, singer, and fingerpicker. Koite is a superstar in Mali, and has been featured in Rolling Stone, People, the New York Times and Vanity Fair. Koite’s hypnotic guitar playing is perfectly paired with Bibb’s fingerpicking and singing. Check out a video of the two of them.